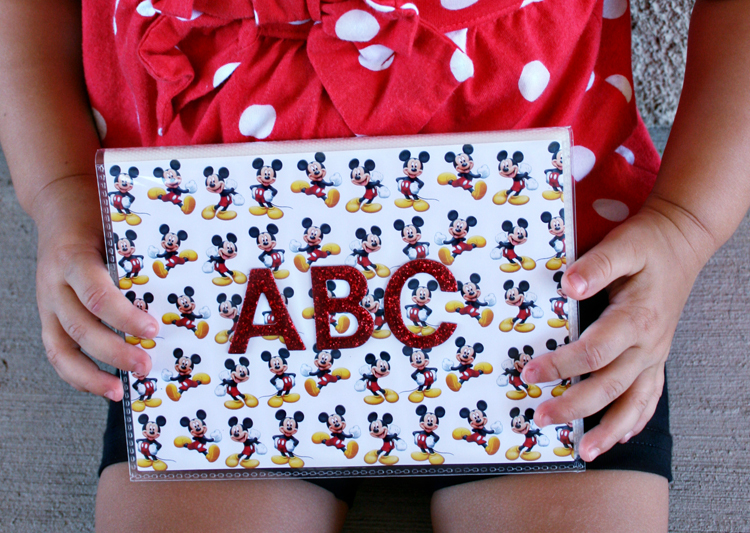 Teach little kids the alphabet with this adorable Disney DIY project. 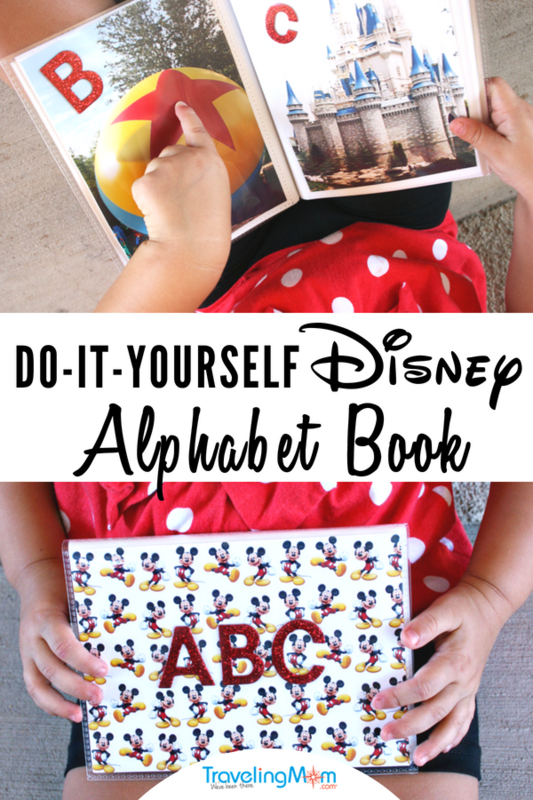 This craft project is a quick and simple way to create your own DIY Disney ABC book, perfect as a baby shower gift or a post-Disney World vacation souvenir! 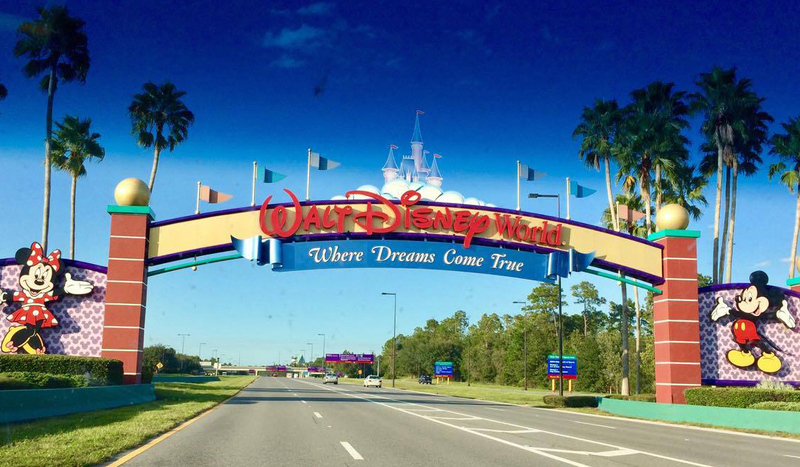 Our Day Trips TravelingMom (and huge Disney fan!) is sharing her Disney themed craft tips to create your own alphabet book using cherished vacation photos. 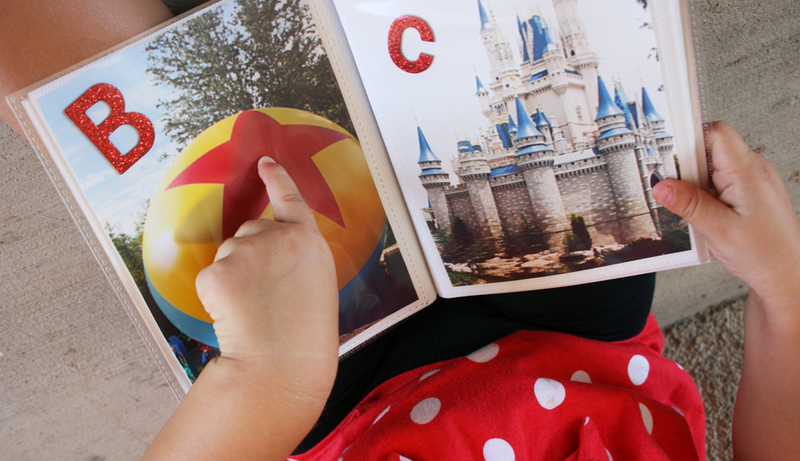 The members of TravelingMom and TravelingDad collaborated to capture the most identifiable images in the Disney World parks in creating this alphabet book. Our partner at The Imaging Alliance encourages everyone to print the photos off their cameras and computers. Having printed photos in your home is a way of sharing and protecting your precious memories. Imagine the disappointment of a lost cell phone or crashed computer, in which all your favorite family photos were gone forever! The Imaging Alliance is sharing why we should all print and display our favorite photos. 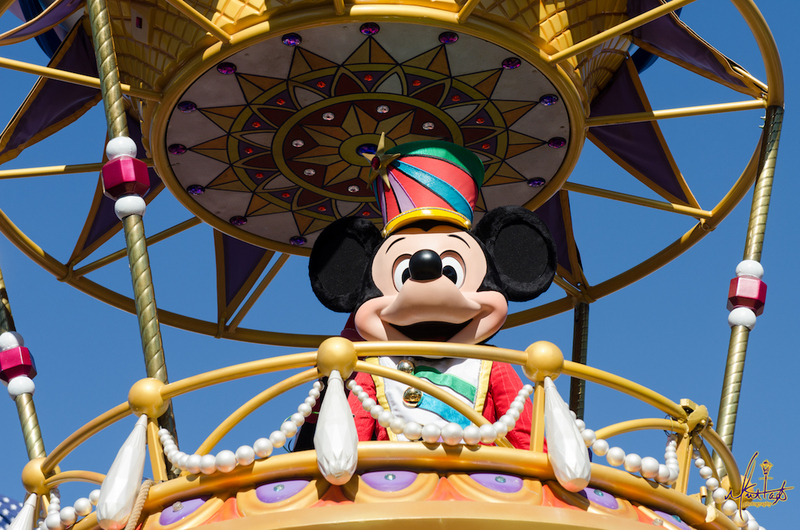 Photos are key to your memories, whether it’s framing them, printing them into a book or even using your travel photos to make DIY Disney vacation crafts. Kids love looking at photos (especially when they are in the pictures!). Putting together your vacation memories into an alphabet book is a fun way to share your happiest pictures. Create the book as a memento for your child. Or as a precious gift for someone who is a Disney fan! And wouldn’t this be a great baby shower gift? Filled with happy Disney images, this DIY project is sure to delight! If you take your vacation knowing that you’re going to be creating this book, you’ll have your eyes open for the perfect photos during your entire trip! In fact, this would be a great “scavenger hunt” type game for older kids. 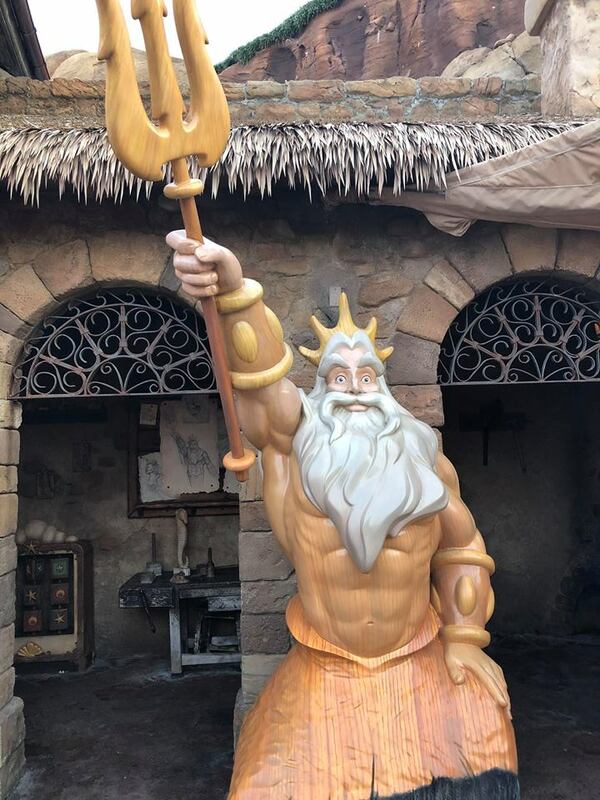 Why else would you take a photo of King Triton for the letter “K” than to add to your DIY Disney alphabet book! 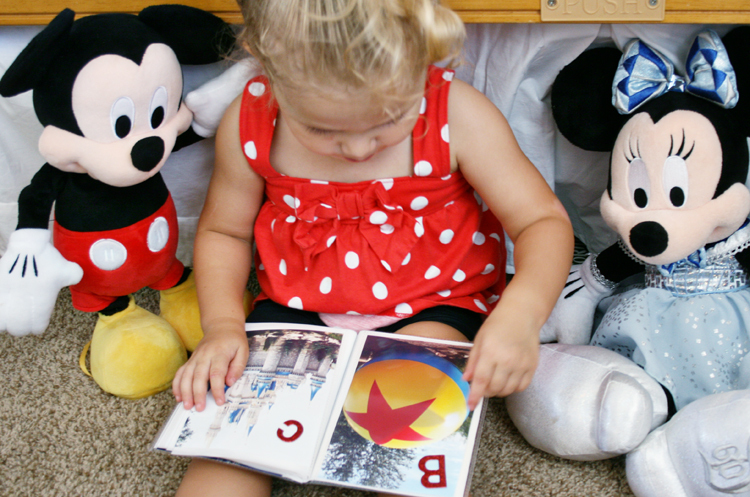 When making this Disney ABC book for my two-year old, I wanted it to be inexpensive. Toddlers can be rough on their things and you don’t want to worry about pages ripping or photos being torn. This Disney craft project is budget-friendly and appropriate for kids. You’ll only need three things to make this DIY project. for photos that are 4″ x 6″. Just make sure the album has enough photo slots for each letter in the alphabet! Pay no attention to the cover of the album as you’ll be replacing it for this project. that’s printed with a favorite Disney character of your choice. I found a paper with Mickey Mouse! If you’re using a mini flip photo album like I used for this project, you can choose photos that are both horizontal or vertical. The child can turn the book to see the photos. However, before you start printing, you’re going to want to figure out a basic layout. For pictures that are on facing pages, you’ll want them in the same orientation for consistency and design aesthetic. 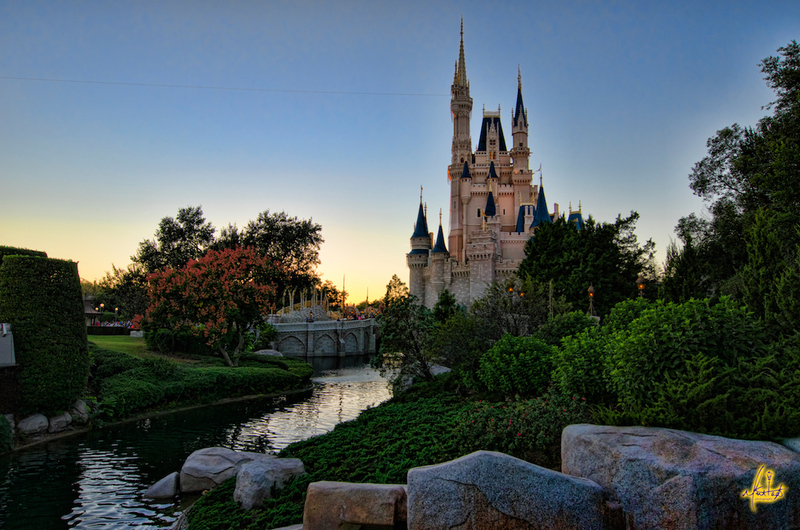 When finding vacation photos to use in your Disney DIY ABC book, choose recognizable images that spur a memory about your trip. Did your child enjoy a favorite snack, like the Mickey pretzel? 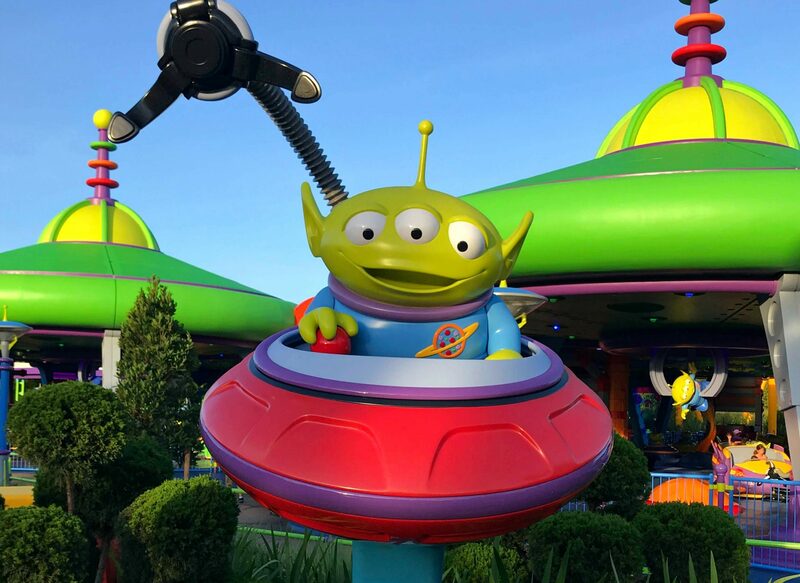 Or perhaps Alien Swirling Saucers in Toy Story Land is their new favorite ride? Be sure to capture those photos and include them in the book. 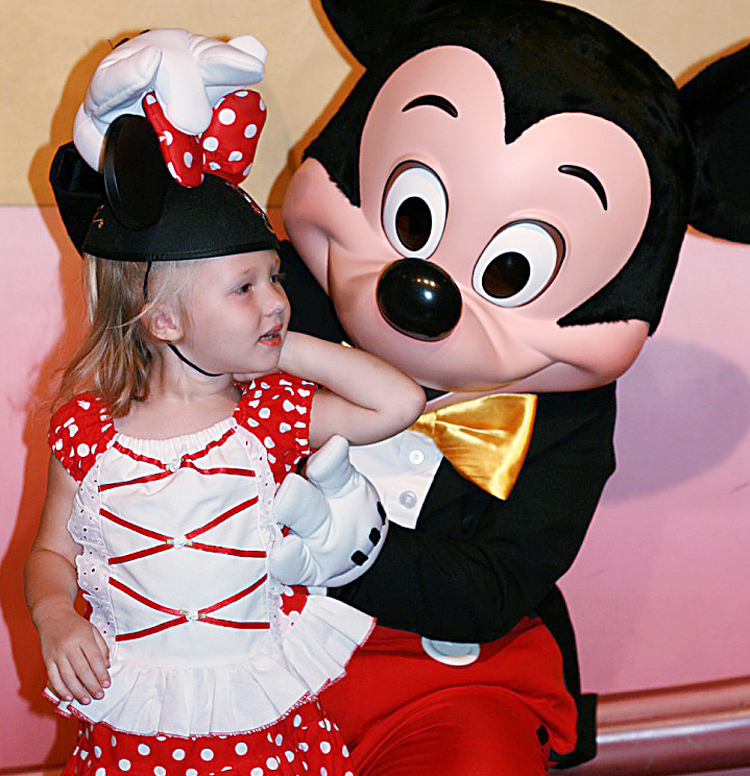 This is a great talking point for toddlers and an ideal way for kids to remember the trip. Character greetings is another place to capture your perfect shot. Think about all the characters you can in alphabetical order and see if you can track them down for photos! “Q” is for Evil Queen. “J” is for Jasmine. “T” is for Tigger. 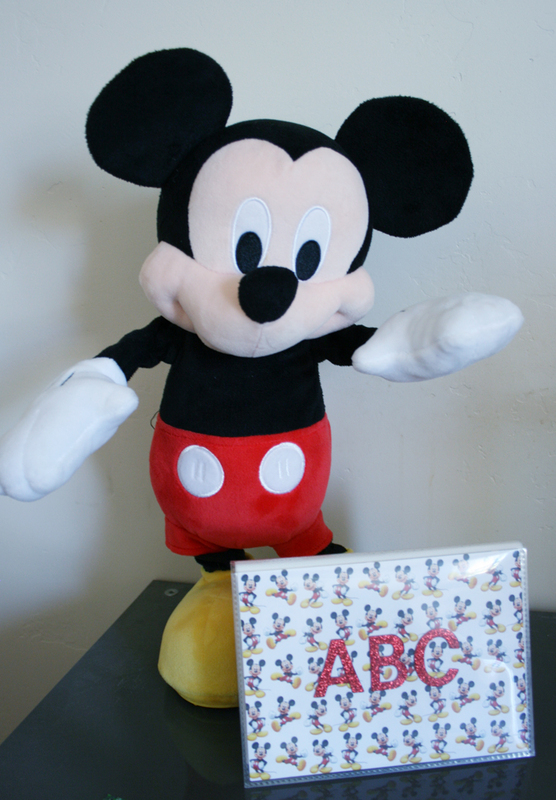 And of course, “M” is for Mickey Mouse! If you’re making DIY Disney gifts for other children, choose iconic images from the Disney parks that all kids will love and recognize. 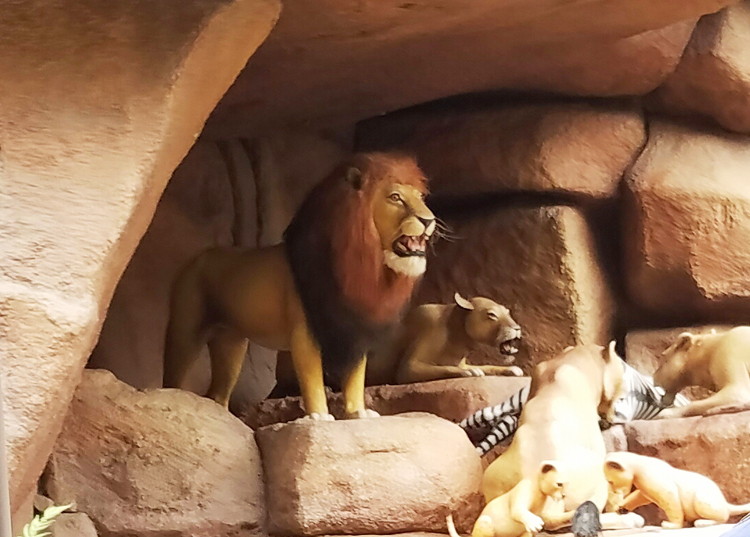 Images like these work nicely -“B” is for ball (the giant Pixar ball in Toy Story Land), “C” is for Cinderella Castle or “L” is for lion from the Jungle Cruise. 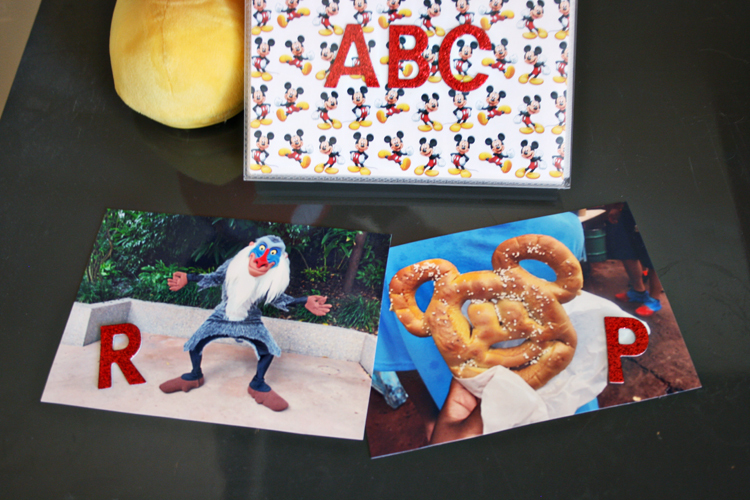 Once you have your photos printed, putting together the DIY ABC book is easy. Remove the front and back stiff-paper inserts from the photo album. Use the stiff-paper pieces as templates to trace on the opposite side of the scrapbook paper. Pay attention to the direction of the design on the scrapbook paper so it will be oriented how you want when the book is closed. Cut out the two scrapbook paper pieces. Decorate one of the scrapbook paper pieces with sticker letters to spell “ABC” (or “A to Z”, or your child’s name). Carefully insert the scrapbook paper into the front of the book. Slide the remaining scrapbook paper into the back of the book. Replace the stiff-paper insert behind the scrapbook paper to reinforce the covers. Lay out photos in alphabetical order and orient them the way you want them displayed in the book. Add the letter stickers directly onto the photos. Slide the photos into the sleeve protector pages in alphabetical order. 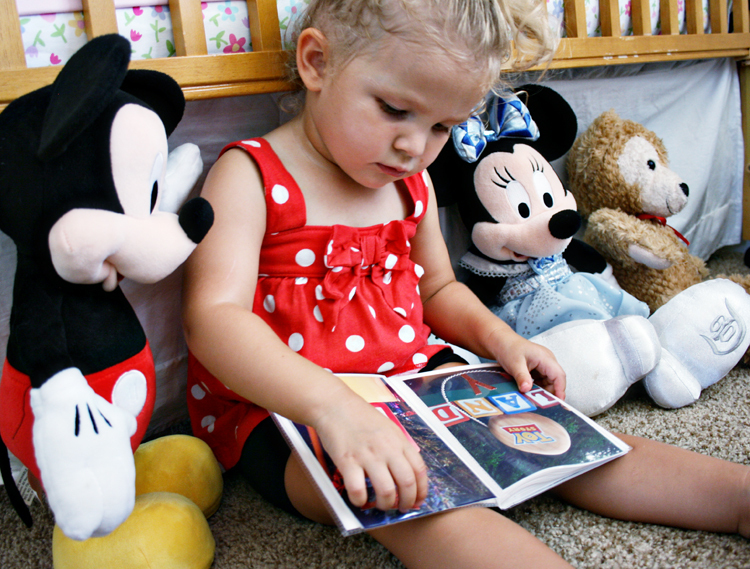 I created this simple DIY Disney book for my toddler using budget-conscious items. It is inexpensive enough that I don’t have to worry about handing it over for her to read and look at by herself. like this one is an easy to assemble Disney craft project. Do you have more than one photo for each letter? Create collage pages using several photos! 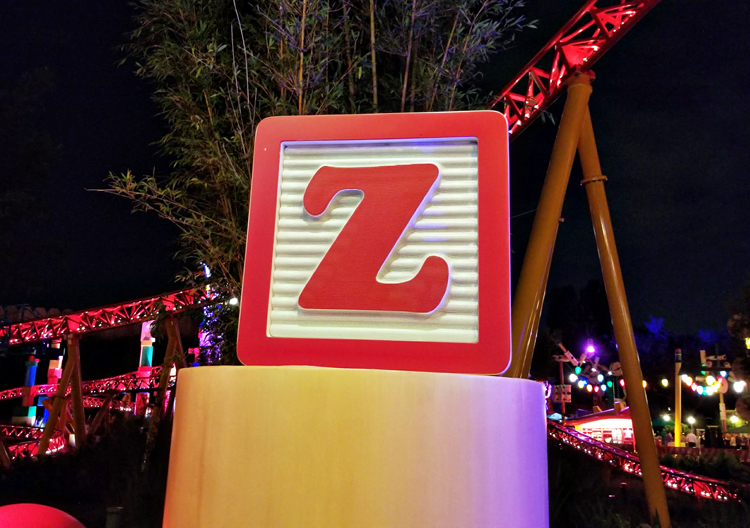 A to Z, Traveling Mom has you covered with planning your Disney World trip, offering the best advice and showing you how to showcase your magical memories! 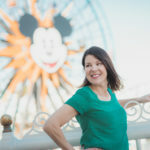 Traveling Mom recommends Undercover Tourist for discounted tickets to Walt Disney World and Get Away Today for vacation packages at Disneyland. This is such a cute idea. I wish my kids were still young enough.